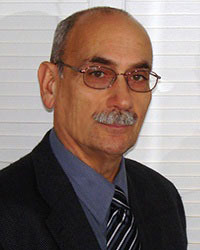 Hussein Rostum has been the President and owner of Bytown Consulting since 2001. 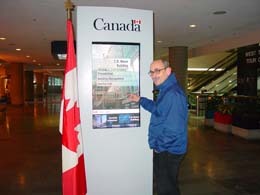 He has been consulting out of Ottawa for over twenty-five years. He began his career as an economist with Bell Canada, and then as a manager of evaluation and an economist at Canada Mortgage and Housing Corporation. His consulting work began in 1982 as the founder and President of Teega Research Consultants Inc., then as a Director with Nordicity Group Ltd., a Principal with PricewaterhouseCoopers, and a Principal with KPMG Consulting. Mr. Rostum's consulting practice includes innovative methods and solutions to address business management challenges within public and private organizations, from front-end planning to program and policy implementation and review. His expertise encompasses several industry sectors and federal, provincial and municipal government jurisdictions. He is also an expert on the voluntary standards system in Canada and the regulatory regime. His consulting engagements have taken him throughout Canada and the United States, and to other countries including Australia, Belgium, Chile, China, Egypt, France, Lebanon, Malaysia, Mexico, New Zealand, Norway, Papua New Guinea, Philippines, and the United Kingdom. He has an MA in economics from the University of Windsor, Ontario, and a BA from the American University in Cairo, Egypt.